The specific purpose of the AEG Oakland Community Foundation is to improve the lives of children and families and encourage urban economic development in Alameda County. We do this through fundraising and working with local governments & social organizations to provide relief and encourage education to poor or underprivileged children and families. We also strive to advance education, eliminate prejudice and discrimination and defend human and civil rights secured by law. Check out all of our accomplishments in both the community and sustainability fields from the past year! transfer students in Alameda County with $10,000 for the 2019-20 academic year. The need-based scholarship targets students matriculating into a 4-year university. Scholarship recipients will also receive assistance with internship placement, where available. Apply here for the 2019 AEG Scholarship application. The deadline for applications is Friday, May 17, 2019. The 22nd Annual Back-To-School Shoe Giveaway “Put Your Best Foot Forward” returned on Saturday, September 29, 2018. First African Methodist Episcopal (FAME) Church has hosted this event for 20 years and in partnership with the AEG Oakland Community Foundation the celebration continues to remain at the Oracle Arena and Oakland Coliseum Complex. Over 5,000 people were provided health resources and enjoyed family oriented activities and over 2,600 students were provided new shoes at last year's event. 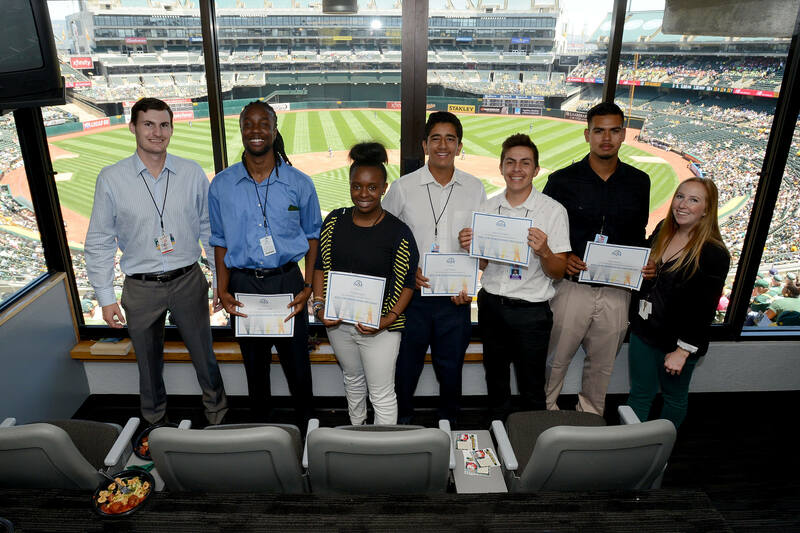 In 2011, the AEG Job Shadowing Program was established as a partnership that brings educators, industry, and community partners together to create a supplemental educational opportunity for high school students. 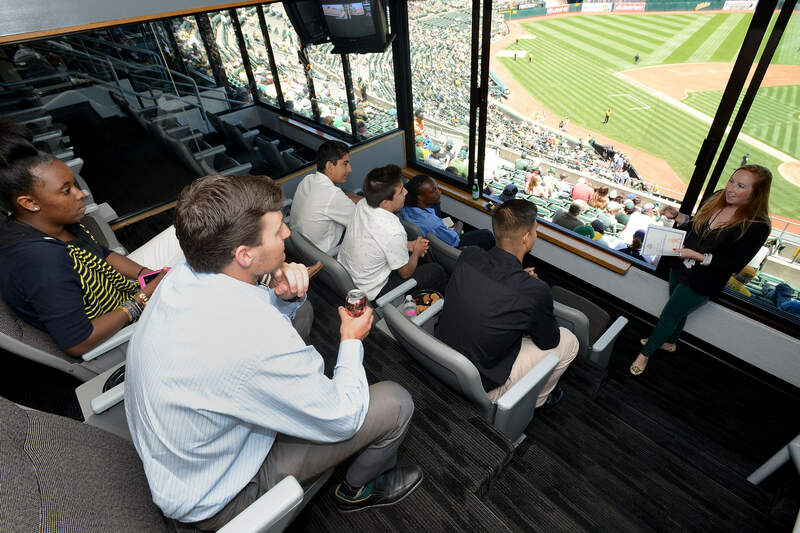 Youth participants gain valuable experience and insight into the world of work through direct observation, hands on activities, and close engagement with AEG team members. The AEG Job Shadowing Program not only inspires young people but also provides the youth of our communities with work readiness skills. Students have an opportunity to gain insight and understanding of the functions, business operations, and activities within distinct departments of a leading entertainment entity. Students gain confidence through participating in activities in the workplace.